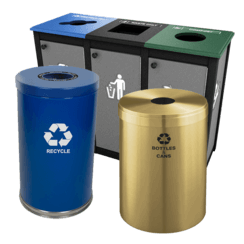 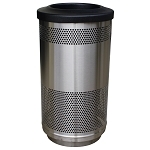 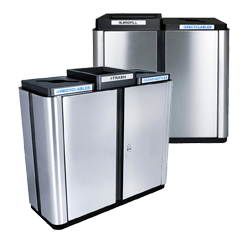 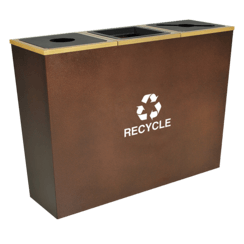 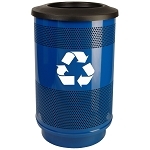 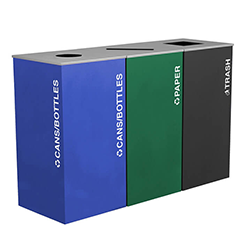 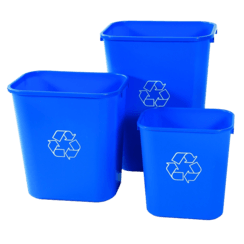 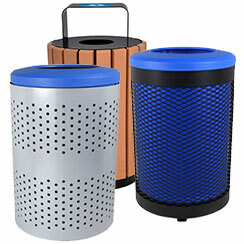 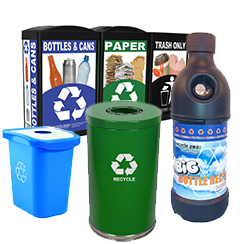 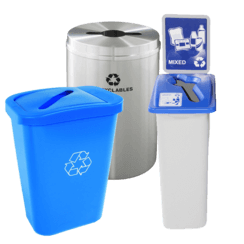 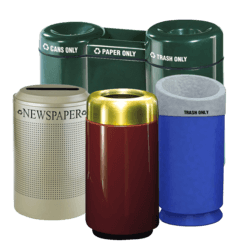 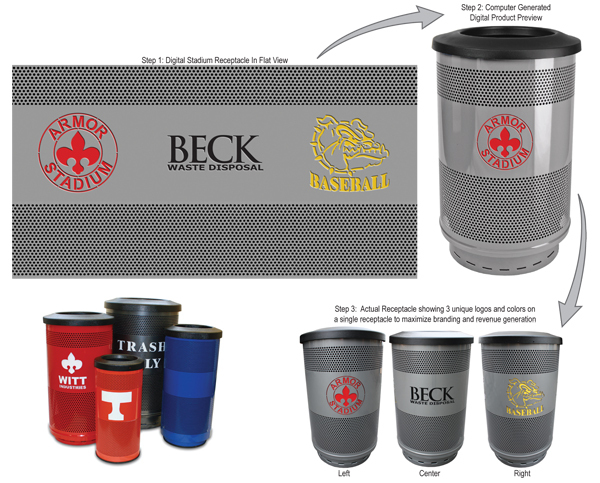 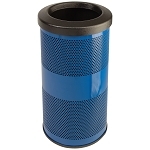 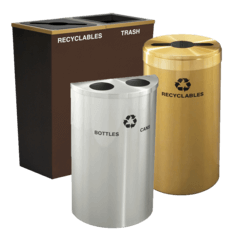 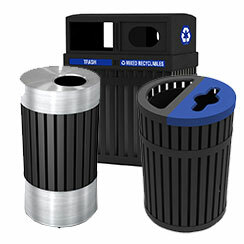 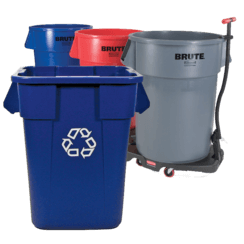 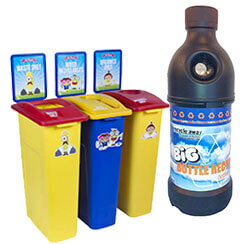 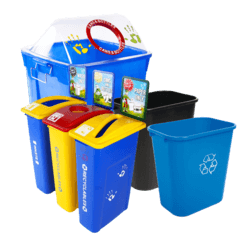 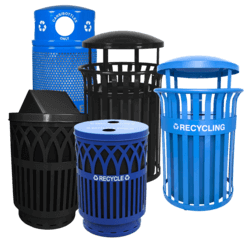 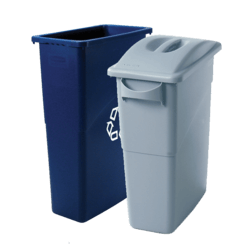 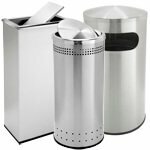 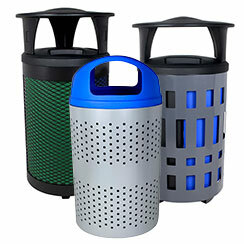 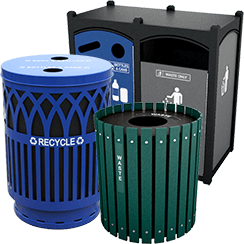 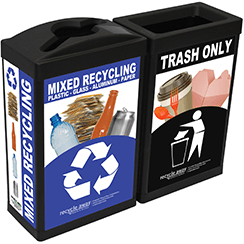 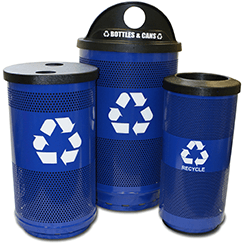 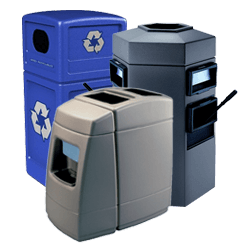 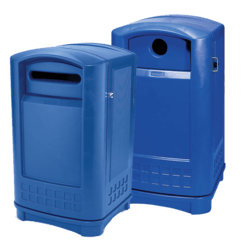 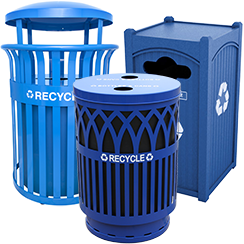 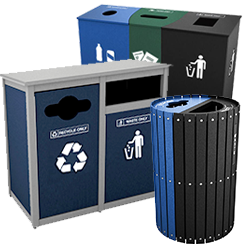 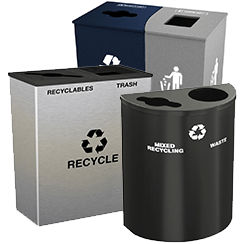 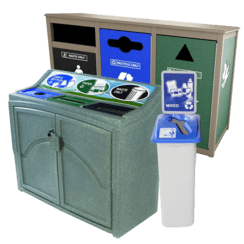 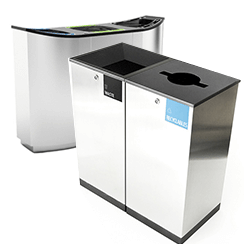 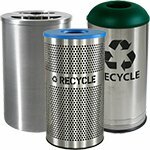 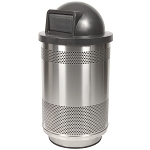 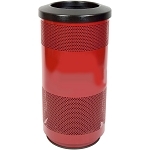 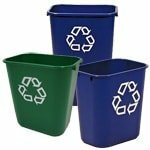 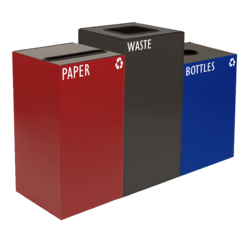 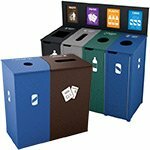 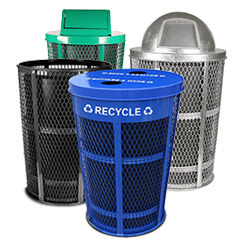 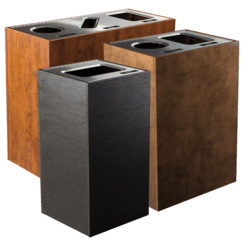 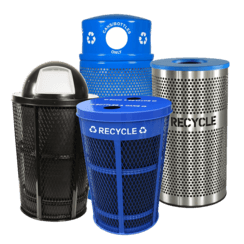 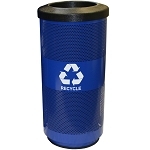 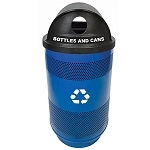 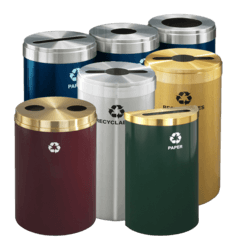 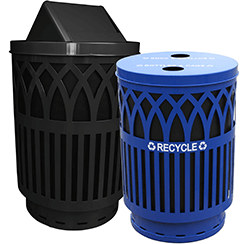 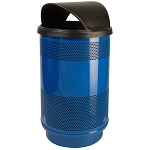 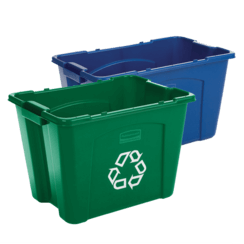 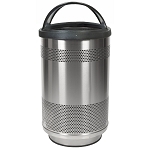 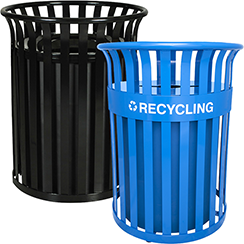 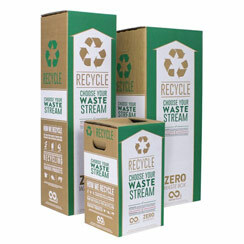 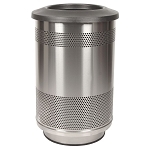 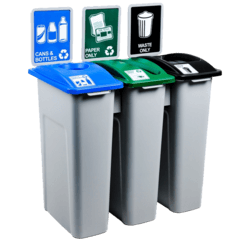 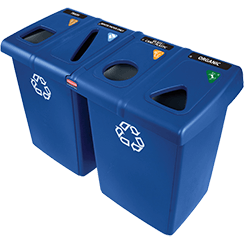 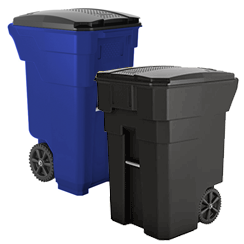 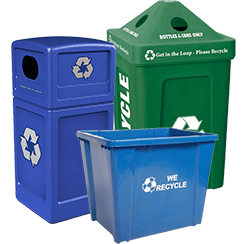 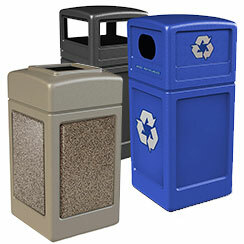 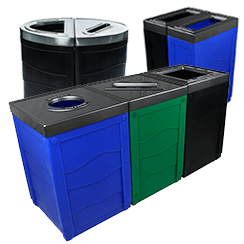 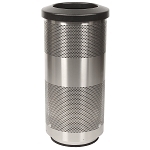 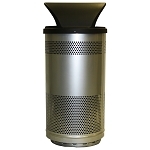 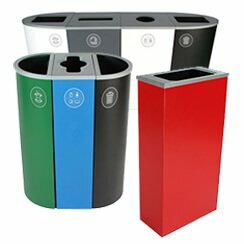 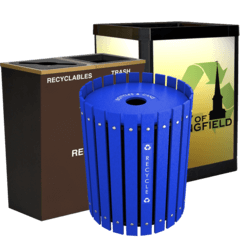 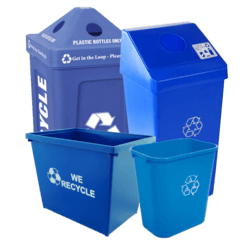 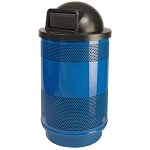 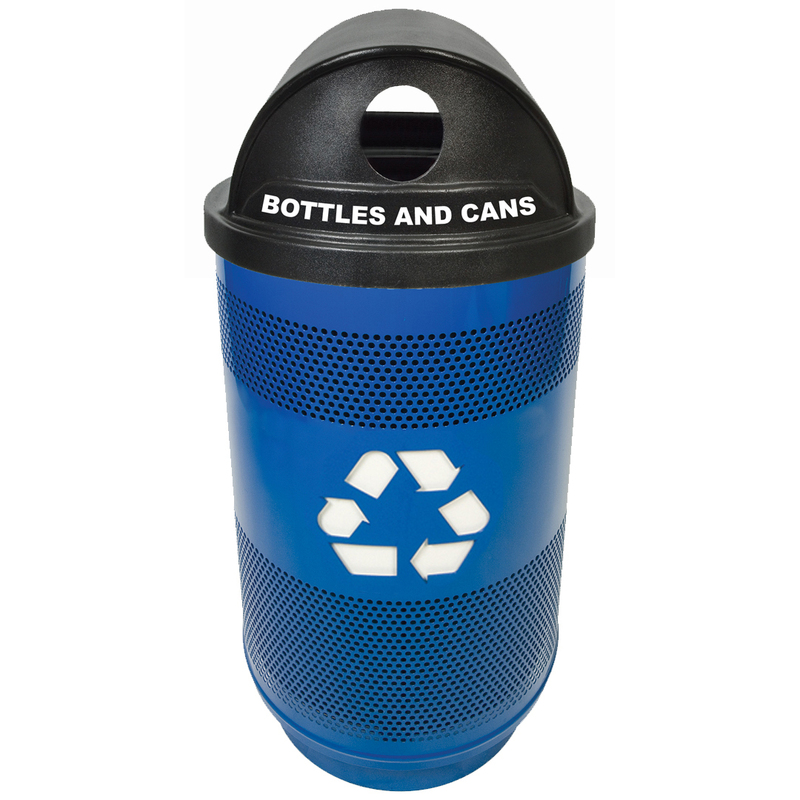 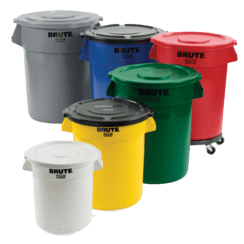 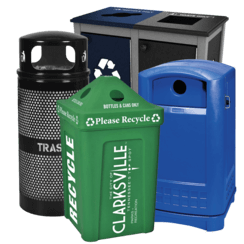 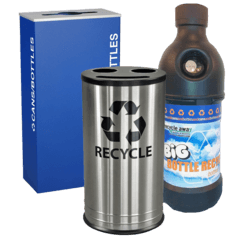 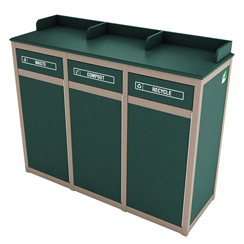 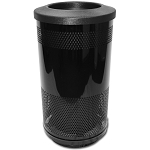 This Stadium Series perforated steel recycling receptacle with hood top comes with your choice of 2 separate liners or 1 liner. 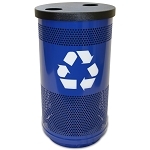 Recycle symbol laser cut into front of unit. 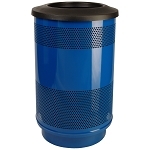 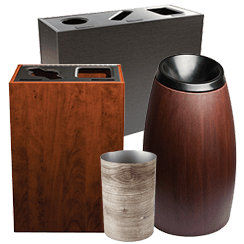 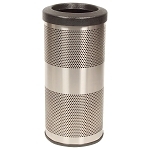 Comes standard with leveling feet and lid attachment kit.